Use these tools and models to help improve your firm and also to help improve your clients’ businesses. 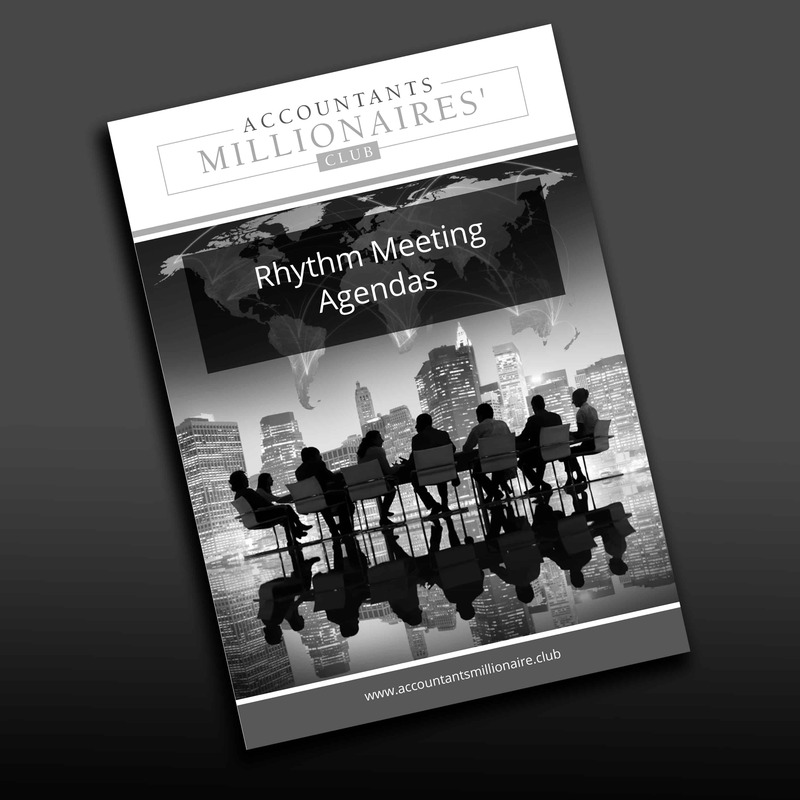 The exact agendas for your firm to run Rhythm Meetings to keep everyone focused on the day-to-day AND growth tasks. Use the growing pains model to help you and your clients identify what they need to do in their business to move to the next stage of growth. Use this self assessment to identify the work you need to do to grow a one million pound practice with over 40% net profitability, while working fewer hours with less stress. This Growth Self Assessment Tool is included in the Accountants Millionaires’ Club book. Use a SWOT analysis to help you identify your firm’s current situation and future drivers of change or growth. Use a STEEPLED analysis to help you identify the external factors which will drive change in your practice. 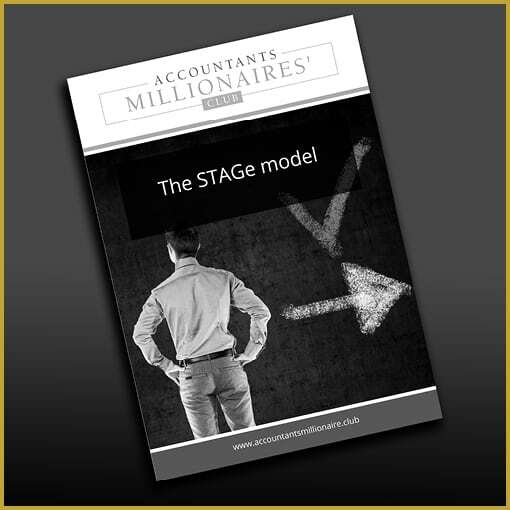 Use the STAGe model to help your firm or your clients consider Strategy, Targets, Actions and how they will Grow their firm. 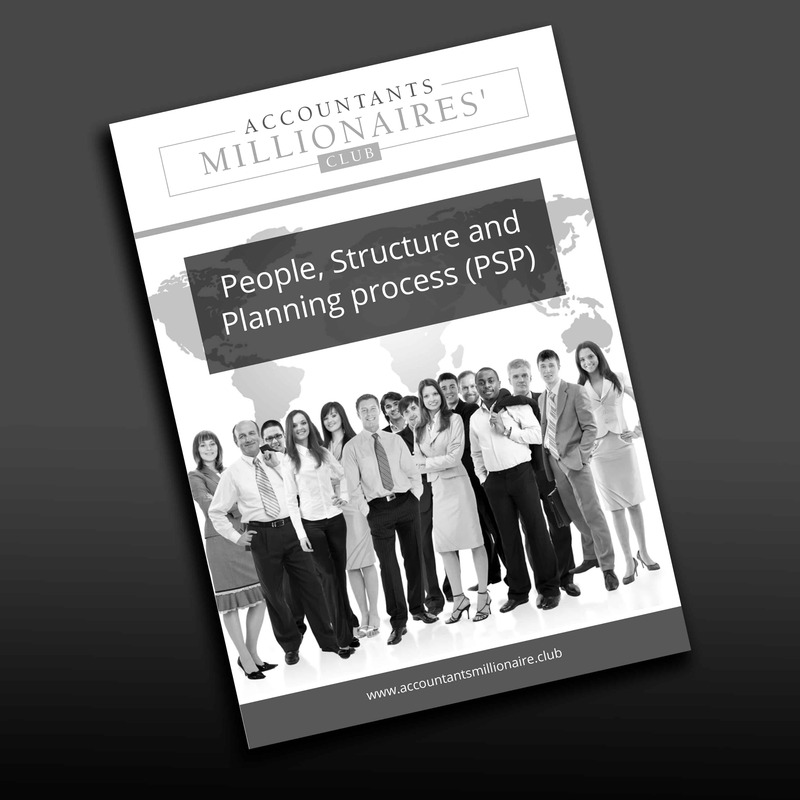 Use this planning process to help your firm or a client consider the future of the business and how the business needs to define roles and adapt structures. 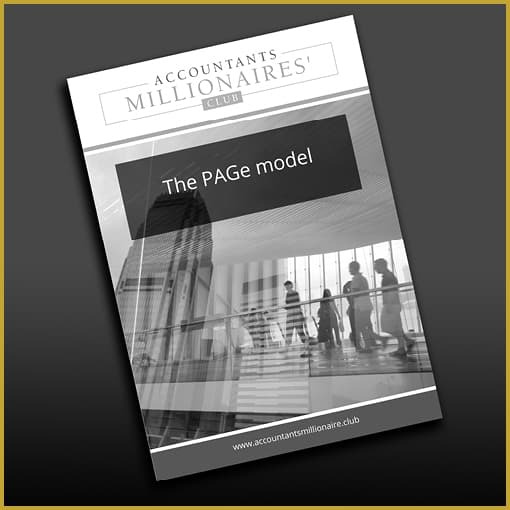 Use the PAGe model to help you visually show the relevance and progress of all projects going on in a company at all times. Use this calculator to identify the impact of putting up your fees on your firm’s net profitability. This calculator will also tell you how many clients you can afford to lose before you start losing profit. Use a Forcefield analysis to help you or a client identify how you may go about implementing a change in your business. It can help identify the elements that need to be managed differently, if the change is to be successful. Use a Fishbone analysis to help your firm or help a client to understand the important elements of a problem, and what they need to do in order to deal with the issues. Use the wheel of life to help you or a client identify where your life may be out of balance. Use it to prompt a conversation about how they can get their life more back in balance. 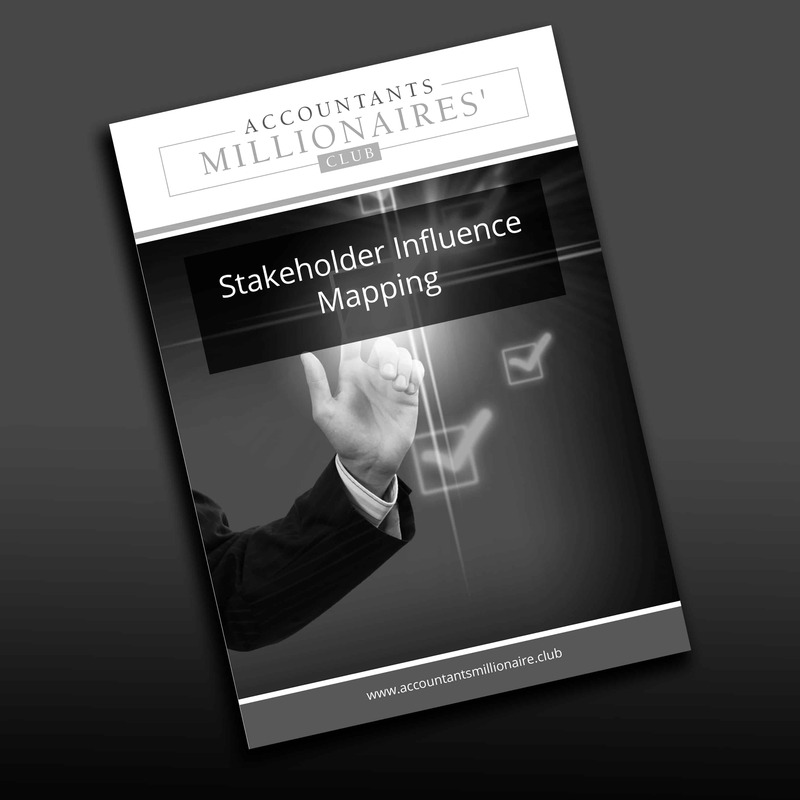 Use stakeholder influence mapping to understand who you need to influence and how you will influence them to successfully implement a change in your practice or grow your practice. Use the Red/Black/Blue model to help you (or a client) understand if they are spending the right amount of time doing the right things in order to achieve their personal and business goals and objectives. 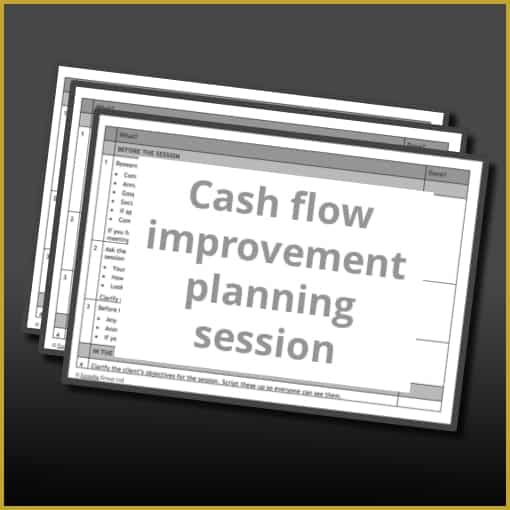 Use this session plan to run a cash flow improvement session with clients. Use this session plan to run a quarterly meeting session plan with clients. Use this session plan to run a profit improvement session with clients.